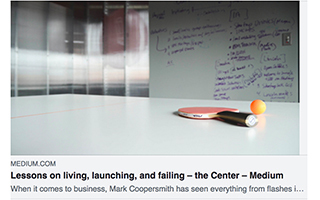 Mark Coopersmith is a bestselling author, entrepreneur, Fortune 500 executive, and educator. A Senior Fellow, Lecturer, and Faculty Director at UC Berkeley’s Haas School of Business, he teaches innovation, entrepreneurship, and leadership to current and future leaders at Berkeley and internationally. He has built and run global businesses for Sony and Newell Rubbermaid, has launched successful Silicon Valley startups (his e-commerce startup WebOrder is now owned by Google), and speaks often to audiences around the world. Mark has mentored hundreds of startup teams which have launched groundbreaking new ventures in sectors as varied as web services, consumer electronics, medical devices, internet-of-things, education, cleantech, fintech, and fashion. Mark is a frequent media commentator, with insights featured in The Economist, The New York Times, The Wall Street Journal, USA Today, The Financial Times, and Fast Company, and on media outlets such as CNN, Fox News, and NPR. He has also shared his insights in talks and working sessions with leadership teams from Google, Disney, IDEO, Salesforce, Oracle, Wells Fargo Bank, Daimler Benz, Samsung, Barclay’s, and Genentech, and government and public sector leaders from every continent. Mark is the founding Author in Residence of the NASDAQ Entrepreneurial Center. 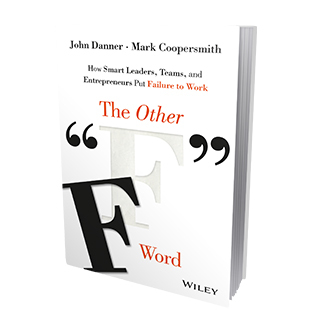 His Amazon best-selling book, The Other ‘F’ Word – co-authored with John Danner – helps leaders and teams put failure to work to drive innovation and growth. Mark earned his BA and MBA degrees at UC Berkeley. He lives in Marin County with his college sweetheart Lori, with whom he has two children. He enjoys skiing, tennis, mountain biking, and cooking. More world-changing startups are launched in Silicon Valley and the San Francisco Bay Area than anywhere else. This region is the acknowledged global epicenter of entrepreneurship and innovation. What is it about Silicon Valley entrepreneurs – and other great entrepreneurs around the world – that sets them apart? In this entertaining talk, Mark Coopersmith – best-selling author, entrepreneur, corporate entrepreneur, and Senior Fellow at UC Berkeley – demystifies what successful entrepreneurs do, how they do it, and how they think. Mark walks through a typical startup lifecycle and explains the toolsets, skill sets, and entrepreneurial mindset that successful entrepreneurs deploy, with practical insights into what separates the best from the rest. 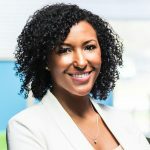 In addition to learning more about entrepreneurship, some groups are interested in gaining a better understanding why so much innovation and entrepreneurship takes place in the San Francisco Bay Area and Silicon Valley. What is so special about this place? What insights can be applied to other regions to help attain similar results? To help provide this context, I incorporate insights and content from another talk of mine entitled: “The Inside History of Silicon Valley.” I share more about our local culture, going all the way back to the original California gold rush in the mid-1800’s. We investigate local science and technology, the sources and uses of capital, education and universities, legal and regulatory issues, human capital, and more. We also look into what comprises productive entrepreneurial ecosystems, and what makes them thrive. Bootcamp: put these insights to work, right now! Mark has many activities and exercises drawn from more than two decades of the practice and teaching of entrepreneurship, which are incorporated in workshops and even entrepreneurship mini-boot camps. These sessions allow participants to take the insights, frameworks, and tools from Mark’s talks and put them to work, locking in new approaches and skills. These activities also help demonstrate and reinforce the entrepreneurial mindset, which is so essential to this overall topic. Activities can revolve around case studies that Mark brings to the session, or the sessions can be constructed to focus on specific initiatives that groups wish to develop and pursue. These additional activities can range from a couple of hours to a day or more, and work particularly well with teams. Is it possible to operate nimbly and entrepreneurially to pursue new business opportunities, and drive innovation and growth, inside complex large enterprises? The answer is a resounding “yes!” and in this session, Mark will share both frameworks and practical tools and examples. 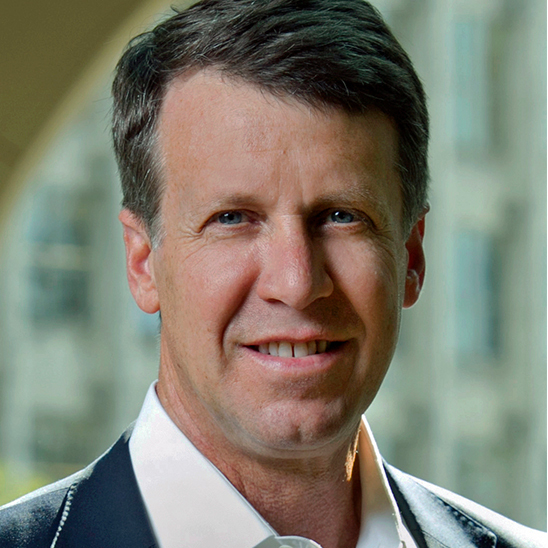 Leveraging Mark personal experiences as a startup CEO, Fortune 500 executive, and corporate entrepreneur, along with 15 years teaching entrepreneurship at UC Berkeley and around the world, Mark applies strategies and tactics from successful entrepreneurs and corporate entrepreneurs. He shares a proven framework and concrete tools to help drive entrepreneurial activity, growth, and value inside large enterprises. Mark incorporates many case studies and examples throughout this talk to emphasize key points, illustrate how to use tools, and bring the lessons to life. Based on Mark’s “Corporate Entrepreneurship” talk and his 3-pillar framework – and building upon his personal experiences as a corporate entrepreneur – Mark has developed a “Corporate Entrepreneur Workbook.” This workbook includes proven tools, frameworks, and exercises that participants can put to work. This workshop, which can range from two hours to a full day or more, has participants apply these tools to their own corporate entrepreneurial projects, or to projects identified by Mark as appropriate, to develop deeper understanding and practice. Combine Mark’s “Corporate Entrepreneurship” talk with his “Entrepreneurship Deconstructed” talk to create a powerful half day or full day. Start with the basics of successful entrepreneurs and startups, and then continue with tactics and frameworks to put those entrepreneurial concepts to work inside a large enterprise. Expand to a full day or more by adding a corporate entrepreneurship workshop and apply these tools directly to your internal innovation and corporate entrepreneurship initiatives. If you think technology-driven change has been dramatic over the past decade, just wait. 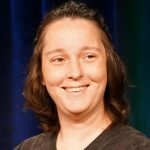 Essential foundations have been laid in computing speed, data science and storage, wireless connectivity, material science, and robotics that presage exponentially more and faster change, from artificial intelligence and machine learning to connected homes and cities, to on-demand manufacturing. In this wide-ranging and provocative talk, punctuated with videos and demos, Mark provides an overview of the impending wave of massive change, including implications for individuals, businesses, entire sectors, and even countries and regions. Many of the organizations and leaders with whom Mark works ask: “what do these changes mean for me?” For groups interested in diving deeper into this topic, Mark conducts workshops connecting emerging technologies and sectors with specific implications. From augmented reality to artificial intelligence to 3D printing, groups investigate these areas in greater detail and develop game plans to be more proactive in the face of change, threats, and opportunities. The San Francisco Bay Area and Silicon Valley are acknowledged as the global epicenter of entrepreneurship, innovation. Billion-dollar startups bloom and entire industries are disrupted. Yet, even in Silicon Valley, many more startups and innovations fail than succeed. Mark Coopersmith and his UC Berkeley colleague John Danner have investigated this phenomenon for years. They have taught classes on it and written about it. 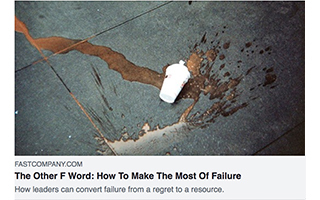 This work has culminated in their Amazon bestselling book, The Other ‘F’ Word: How Smart Leaders, Teams, and Entrepreneurs Put Failure to Work (Wiley, 2015). 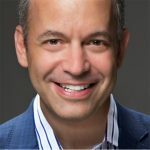 In this provocative and entertaining talk, Mark draws upon this large body of work to provide examples, insights, and tools to help leaders turn setbacks and failures from regrets into strategic resources; to help drive greater innovation and growth, and contribute to a more engaged and collaborative workforce. Mark introduces the groundbreaking seven-stage Failure Value Cycle, providing a discrete path to becoming a more “failure-savvy” leader. Case studies come from organizations of all sizes, and from CEOs, venture capitalists, the Great Place to Work Institute, entrepreneurs and technology leaders, and even fighter pilots and astronauts. None of us like to fail. But a select few have cracked the code, creating a more productive relationship with the other “F” word. 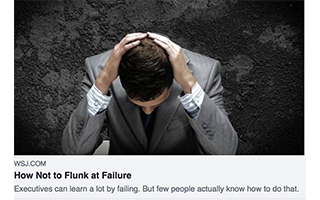 Join this exclusive group of successful “failure-savvy” leaders. 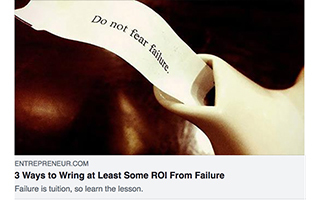 A select number of organizations have done exactly what the book title promises: “put failure to work.” Mark will work with you and your team to create a more productive relationship with this challenging topic. 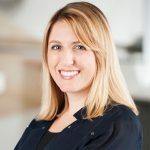 Whether you assess your own organization’s attitude toward failure, or develop failure post-mortems to gain insights for future growth and innovation, or build more ambitious innovation portfolios, the activities will challenge current conventions and contribute to more resilient culture, resilience and employee engagement. Workshops will also include the seven stages of the Failure Value Cycle, helping reduce the incidence and impact of major failures, and extract the learnings from them when they do occur. Each of these talks stands on its own as a keynote address or session. 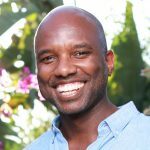 Additionally, for groups seeking a more interactive experience and a deeper dive, Mark can build workshops, exercises, and related activities to accompany these topics. These additional activities help participants roll up their sleeves, try out these tools and concepts, and put them to work investigating new opportunities and new approaches for themselves and their organizations. What Do Silicon Valley Entrepreneurs Do Differently? How's your sleep these days? Building a high-growth business takes its toll in many ways, and a good night's sleep is one of the first to go. I do pretty well on most of these tips. But try to take away my coffee and wine... ?!?! How do you define the Entrepreneurial Mindset? See my "Top 10" list here in the cover article of the current Strive Magazine! What are the ethical implications of our increasing capabilities and deployment of AI/Artificial Intelligence? Great podcast spanning ethics, bias from data and algorithms, societal vs personal benefits, safety, and more.